Are you looking for a luscious gift to send someone for any occasion? 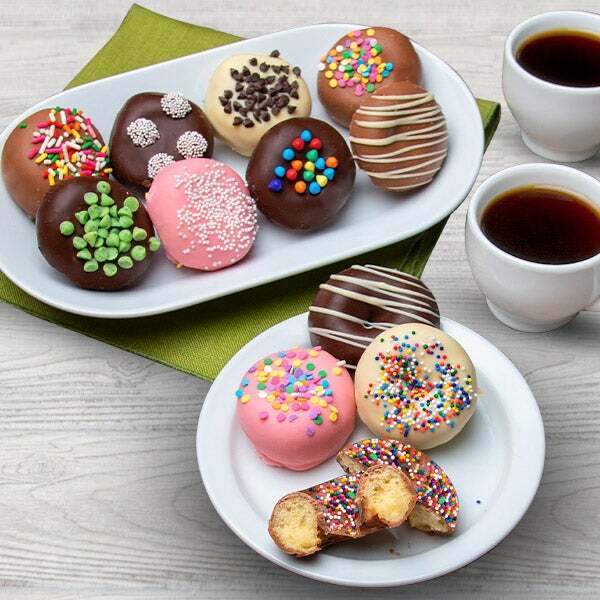 Look no further than these chocolate covered donuts! We’ve taken one of America’s favorite treats and made them even better by dunking them in our sumptuous Belgian chocolate. Each donut is hand-embellished with our tasty candy sprinkles and fondant appliqués. Delight anyone on your list with this gorgeous gift!